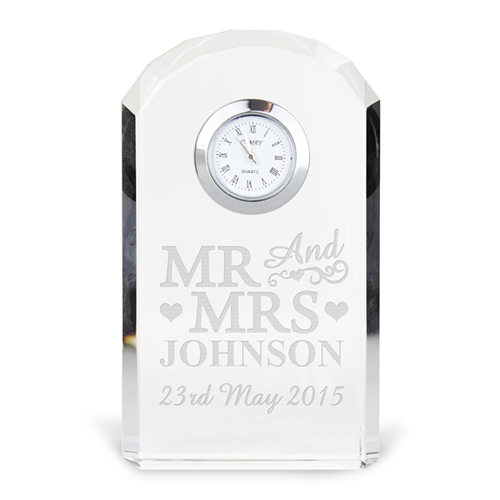 This Engraved Mr and Mrs Crystal Clock can be engraved with a surname and date. The surname can be up to 12 characters and a date up to 15 characters. We would suggest entering the personalisation on line 1 & in upper case as imaged.